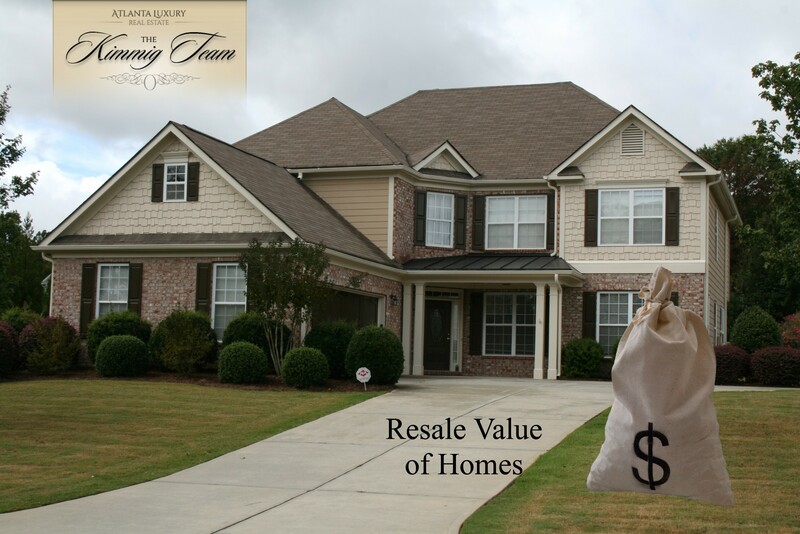 Resale Value of Homes is a very important factor to consider when you are buying a home! A home is more than a place to live. It also represents a major financial investment. Most of us will buy and sell several homes over the course of our lifetime, so it is important to consider the resale potential of each home you purchase —before you buy it. Consider your intentions when you go looking for a new or new-to-you home. Are you searching for your dream home, a place you hope to hang your coat for a long time? Or perhaps you are looking for smaller, lower-maintenance place to ease you into retirement? Maybe you’ve spotted a hot market and are hoping to turn a profit with a fast buy and a fast sell sometime in the near future. Your plans for your new house and how long you intend to stay there can affect its re-sale potential. For example, the trendy new neighborhood where your house is located may not be so trendy and popular ten years from now. Regardless of your intentions, there are several other factors that will affect the re-sale potential of your home. First among these is location. You’ve probably seen house-for-sale advertisements boasting about a home’s location, and it’s true, location is very important. Today’s preferred location may not be the same five or ten years from now, but many of the elements that make it desirable will be the same. Large lots, mature trees, wide sidewalks, proximity to schools, shopping and public transit are all features that increase an area’s lasting appeal and will therefore fetch higher re-sale prices than homes in areas that do not offer the same advantages. When thinking about location, you should also consider the population and economic growth trends in your city or town, and in which direction growth appears to be moving. Demographics can also come into play when it comes to home re-sale value. With baby boomers heading into retirement and their ‘golden years’, one-level homes with wide passage ways and rooms large enough to accommodate wheelchairs may become more popular in certain areas, while suburbs filled with young families may put more of an emphasis on large yards and ample public green space and playground facilities. Try to learn about a town or city’s population before you purchase a home there. Be aware of the features that sell. Peruse local real estate advertising to find out the most desirable attributes in the area in which you want to buy. You may notice that homes with one bathroom sell for less than homes that have more bathrooms, or that homes with old, inefficient windows sell for less than those with newer, vinyl-clad windows and energy-efficient panes. The same can be said about a variety of features including closets, number of bedrooms, fireplaces, swimming pools and kitchen functionality. Don’t despair, however, if a dated or less desirable home is all you can afford: outdated houses present an opportunity for renovations and upgrades that can vastly increase their value and re-sale potential. With a small investment and a little work, you can turn a fixer-upper into cash in your bank account. The profit margin increase can be significant enough to justify enlisting the help of a professional to help with major projects. A residential building inspector can also help you identify the ‘shelf life’ of a home you are considering buying. A thorough inspection report will give estimates on the lifespan of major home components such as the roof, furnace and driveway. If several of these components are reaching maturity at or near the time you want to sell, the re-sale potential of the home could be devalued as a result of the impending repairs. Take these timelines into consideration if you plan on moving in the near future, or if your cash flow will be compromised during the same period in which upgrades will become necessary. Buying a house should be about meeting your needs and desires, but a little forward-thinking can mean an easier sell, and even a profit, a few years in the future if your needs change or you want to move on. A purchase designed to meet your current needs while accommodating future re-sale potential is a smart investment that will help you fund a bigger, better house when the time comes, or to create a little nest egg for future investments or retirement. Considering the re-sale value of a home before you buy it takes little effort but produces great routines – all in all, a logical thing to do. 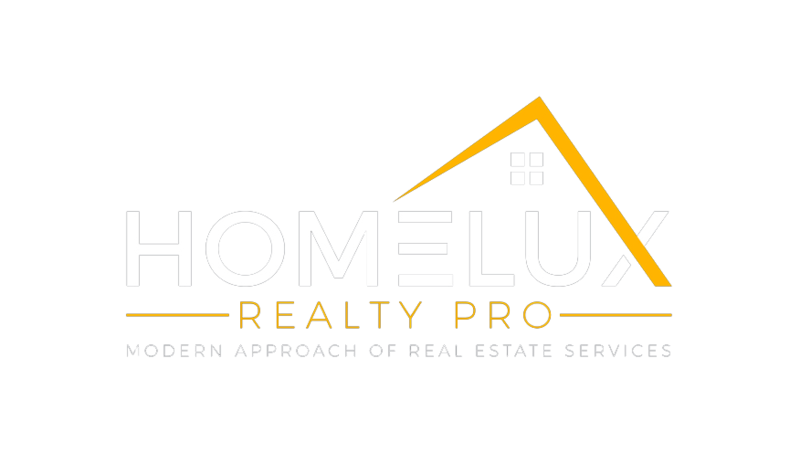 When you are buying real estate it is important that you have professional representation, and you should not settle for anything than the best. The Kimmig Team is representing all types of buyers and sellers, from luxury homes, to first-time home buyers. 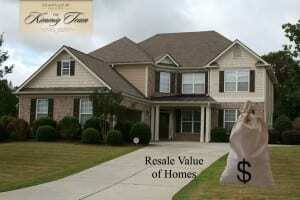 We are here to help you and in deciding about the Re-sale Value of your future real estate purchasing. Visit our website at www.atlantaluxuryhome4sale.com and start searching for 1000’s of homes today or CALL US at 678-469-5685 and we’ll be happy to do the search for you! Take advantages of lower interest rates and start living your dream. Remember: Resale Value of Homes is a very important factor to consider when you are buying a home!